Something special in the corner? Looking for a different corner solution in your kitchen? Many of our customers on their wish list is to look for better corner solutions in their kitchen as they see it as dead space and would like to get the most from it. One solution is The Qanto, Qanto is possibly the most sophisticated and beautiful corner storage solution available. 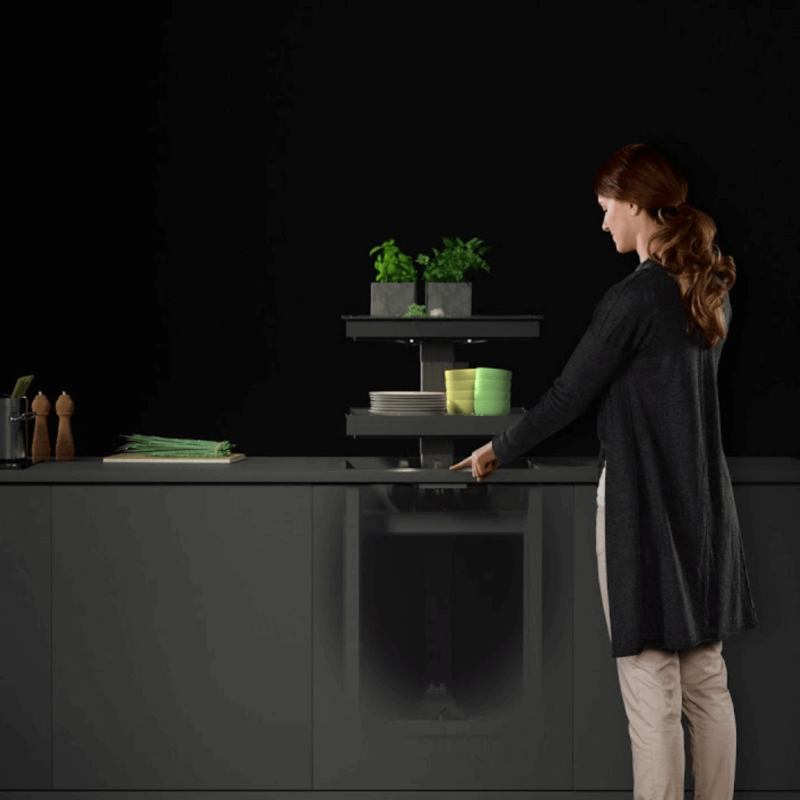 At the touch of a button, the shelves/trays rise up from the worktop in a smooth, near silent fashion and provide ergonimic access to an efficient use of space in the most aesthetic of ways. Some of the newer corner solutions also on the market include the VS COR Flex similar to the VS COR it has an additional pull out, this is a corner solution which works great behind a handleless door. 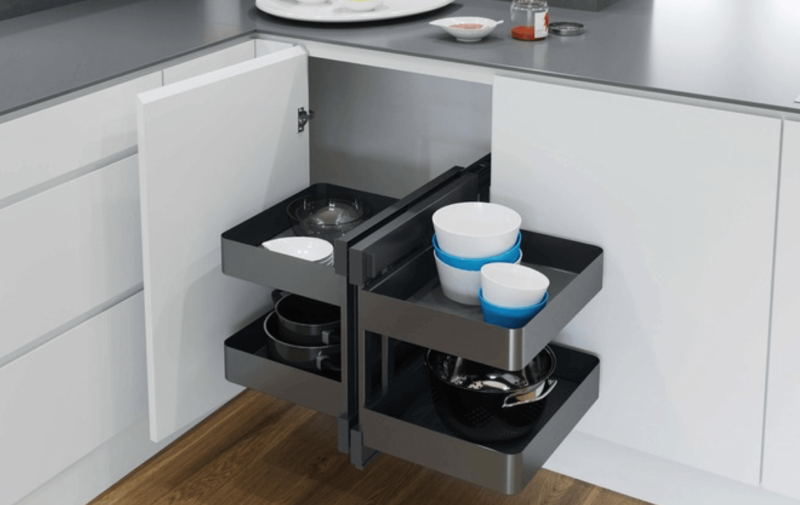 It’s a push to open system that makes the most out of hidden space, available with the new tray-style Planero ‘Two dimensional’ shelves instead of baskets. Pictured below finished in a new Lava Grey Finish.